Yooka and Laylee, I choose you! With the release of the two main characters of Playtonic Games’ ambitious endeavor, Yooka-Laylee, it seems undeniable to dispute that the two main characters Yooka and Laylee (a chamaleon and a bat) are universally loved and adored. However, clever and astute fans quickly picked up on a curious resemblance between two other iconic characters. That’s right you Pokemon fanatics out there, Yooka seems to draw strong inspirations from Kecleon, while Laylee has an uncanny appearance similar to Noibat. Coincidence, or a heartfelt nod and homage? Either way, fans are still in love with these characters and have taken to art to celebrate Yooka-Laylee’s supposed connection to Pokemon. Here is a comparison photo of Yooka and Laylee and their respective Pokemon counterparts. Here we see Dragonith’s rendition of Yooka and Laylee. In this art piece by Trinity4life, Noibat was replaced by Swoobat as Laylee’s analogue. A fan rendition by MegaSylar with an interesting variation on Laylee’s / Noibat’s color scheme. Either those gold coins in Erryx’s piece is all of the money Yooka-Laylee is going to make, or it is all of the generous donations the wonderful fans have provided to make the project a reality. 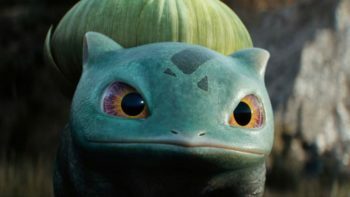 What do you think about the resemblance between Yooka-Laylee and Pokemon? What do you think the connection is between the two? Feel free to comment and share below!